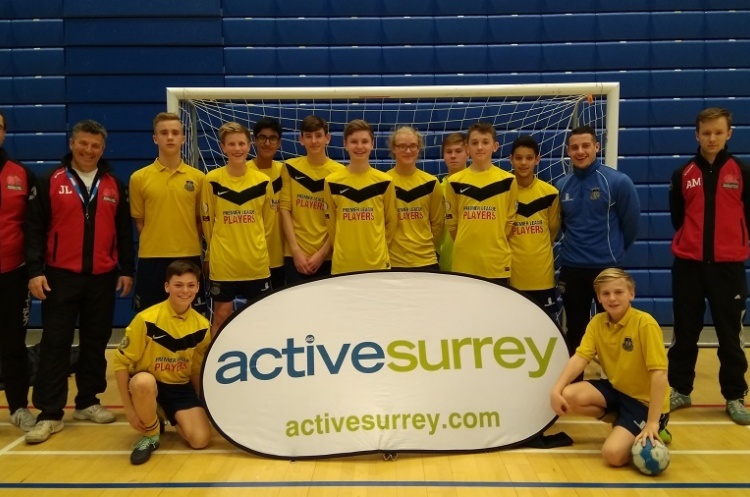 Reading Handball men’s team helped out with the running of the Surrey County under-15 Boy's Regional Finals Day at Surrey Sports Park in Guildford. Andy, Anthony and José, from the Lions undertook referee and table-official duties as five schools from across the region battled it out in an exciting day of handball. The participating schools were Christ’s College, George Abbot School (both Guildford), The Winston Churchill School (Woking), Epsom & Ewell High School (Epsom) and Woolmer Hill School (Haslemere). All teams played each other once in the round-robin. It was clear early on that there was plenty of talent on display and that the young players were skilful and knowledgeable – a really good sign for the future of the game in the area. Once the round-robin had concluded and the standings were finalised, the top two played again in the final while third and fourth played off for the bronze medals. The two Guildford schools had been particularly impressive throughout the day and it was no surprise that the final was between the two. It was played to a great standard with George Abbot School edging out Christ’s College by a single goal. They now progress onto the South of England competition. The bronze medal match was even tenser, as the game between Woolmer Hill and Epsom & Ewell went to extra time. Eventually the boys from Epsom took third place with a last-minute winner. Reading will be involved in regional competition again on Thursday 8 March when members of the Lionesses and Lions teams will be at the Berkshire County under-15 Finals at Bohunt School in Arborfield. With a junior section at Reading on the horizon, the club sees it as an excellent opportunity to build momentum for the future and the Reading coaches will be looking for the best talent to be part of this new team.